From what I've seen in the last five years, when suddenly faced with a cancer diagnosis or another serious health issue, many patients end up finding their "person." Their person is someone who recently faced the same (or similar) thing and is somehow generous enough to guide another through it. Their person provides advice and comfort like only someone with similar firsthand experience could do. Their person provides hope -- hope that since their person survived it, they will, too. I was so very blessed to have my person. Her name was Kristin. I know that Kristin was so many things to so many people. She was the loving wife to one of Brian and my dear friends, Corey. She was a mother to two beautiful young children. She was a sister to four siblings, a teacher to countless students, and a friend to so many others who were blessed to know her. She was Peach, Kiki, Hen, Mommy, Kris, and I'm sure many more nicknames I don't even know. I would never attempt to try to sum up the life of this most incredible woman here, and indeed I don't know enough about her to do so. I can only do the smallest thing and tell you about who Kristin was as my person. I realize that it may sound terribly selfish -- to look at her through only my eyes. But these are the only eyes I have. And they are full of tears. So please forgive me if, for now, I attempt nothing more than to see through those tears. Think about it for just a second ... How many people can you name who have saved your life? I don't mean metaphorically; I mean literally. Well, Kristin is at the top of my list. It is because of my visit with Kristin in August 2012 that I found my tumor. She was going through cancer (for the second time) and when I got home from seeing her, I did my first self-exam and found my tumor. Five days later I was diagnosed with the same type of breast cancer that she had -- triple positive invasive ductal carcinoma. Same stage. Same hospital. Same medicine. Both with husbands who taught social studies in the same department and coached hockey at the same high school. Both with an older little boy and a beautiful baby girl. Both full of hope that if we had our breasts removed and sat through the infusions they told us we needed, we would survive. Kristin was a teacher -- beginning in Brooklyn, New York and landing in Westwood, Massachusetts. She taught kindergartners and whenever I asked her how she did it, she just laughed and told me she loved those kids. I say the same thing when people ask me how I teach juniors and seniors in high school. It's the best. I love those kids. Since Kristin was several months ahead of me in her surgeries and treatment, she was also my teacher. She told me what to expect before my bilateral mastectomy. My doctors had warned me that after surgery I wouldn't be able to lift anything, including my arms, and I remember asking Kristin what to do given that Annabel was still in a crib and needed to be lifted out every morning. I don't remember exactly what Kristin said, but I know how she made me feel -- like somehow it would all be okay. And it was. When it came to biotherapy -- the Herceptin to be precise -- Kristin kept on teaching me, mostly about resilience. She was dealt blow after blow with that drug -- haunted by heart failure despite that only a small fraction of patients ever experience that side effect. When I was hospitalized during treatment Kristin gave me faith that I would get out and get better. She was right. On February 13, 2014, Kristin got the devastating news that her breast cancer had returned in her liver. From that day forward, Kristin lived with metastatic disease. I have not experienced that crushing reality and am not qualified to speak about how hard it must be to do so. All I know is that Kristin lived with that cancer in her body for just about four more years despite that her doctors anticipated it would be half that. She didn't start dying that February day, as I had so feared that she would. Instead, Kristin kept hoping. She traveled with friends and family. She raised her family, moved into a new house, celebrated holidays. She was forced to stop teaching but she never lost touch with her students. In the face of the scariest reality, Kristin lived. All the while, cancer ravaged Kristin's brain and her body, causing her to have seizures and multiple brain surgeries, among many other challenges. Without complaining, she endured. With grace, selflessness, and faith, she endured. With hope, she endured. On Wednesday January 3, 2018, around 5:20PM, my dear friend Kristin passed away at home in Corey's loving arms. I have written a lot since then, but nothing that I will share in this space. What I've written is raw. It's dripping with anger and tears. It recounts the experience of watching Kristin slowly and ever so peacefully stop breathing. Of listening to the man from the funeral home carry her down the stairs. Of seeing her body for the very last time. I always asked Kristin before I published anything about her and since I can't do that, I don't feel comfortable sharing such intimate details. But I do wholeheartedly believe that she would be okay with me sharing what she meant to me as my person. As my person, Kristin taught me how to fight, how to adapt, how to surrender, and how to fight some more. She showed me that despite tremendous personal pain, a person can still be compassionate to others. She taught me that real teachers never stop teaching and that the most important teaching happens through a person's actions. Kristin, my dear sweet person, showed me how a mother can live even when she knows that death is fast-approaching. She showed me that death, while horrifically tragic beyond all measure, also -- for the luckiest -- reveals the purest and deepest forms of love. I am so angry at cancer for what it did to Kristin and her family. I am so angry at how it stole her soul from her body and left only a skeleton in her bed. I am so angry that it hurts. So sad that my heart feels a heavy physical ache. There are no words, no last paragraph, to make any of it better. So I'll just end it simply -- with a thank you and with an apology. First: Kristin, thank you. Thank you for being my person, my friend, and my teacher. Thank you for making me less afraid to live and less afraid to die. Thank you for saving my life. Finally: Kristin, please know that I'm sorry. So so so deeply sorry that the medicine didn't work for you. That the dozens upon dozens of pill bottles that we emptied into the trash with the hospice nurse didn't help. That your hope for a cure never came to be. That you saved me, but no one could find a way to save you. �� I am so very sorry for your loss. When you lose your "person" the gap in your life is devastating! Dear Tara, This is a beautiful, heartfelt tribute. My heart aches for Kristin, her family, for you and all who knew her. 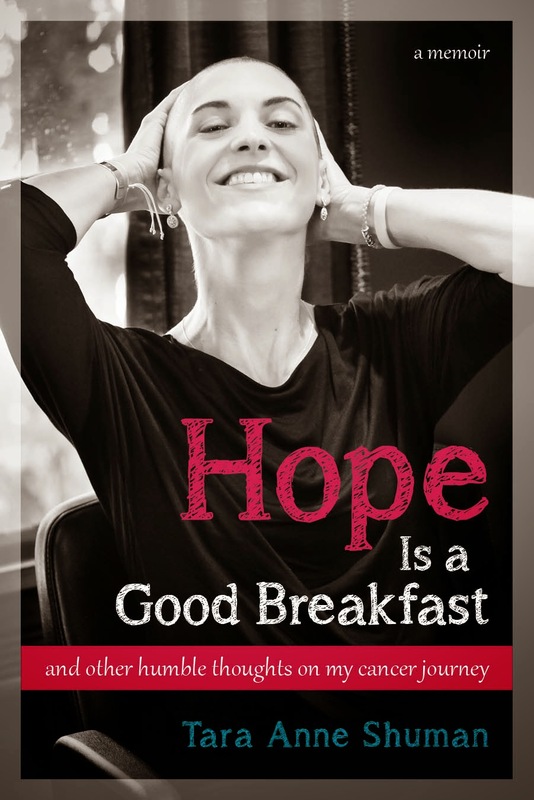 As someone with metastatic breast cancer, I can truly relate to Kristin's story. I've found that most people don't really understand advanced breast cancer. It should be given much more attention because it is the outcome that all breast cancer patients are trying to avoid. My heart breaks for Kristin, her husband, her sweet, young children, and for you and all those who loved her. I can't fathom the sorrow of losing your person. Kristin would undoubtedly be touched by your tribute to her, and may we all pay tribute to her in the years we have on this earth by living, truly living, each day. You've nailed it once again. As someone who lost her "person" to metastatic disease almost 5 years ago, I can relate to the unique heartache it can bring. And the anger that this disease is still taking mothers from their children. I'm so glad you've shared this post. And I'm so, so sorry for your loss. Rest in peace, Kristin.